Sharm el-Sheikh (Arabic: شرم الشيخ‎, IPA: [ˈʃɑɾm eʃˈʃeːx]) is a ceety situatit on the soothren tip o the Sinai Peninsulae, in Sooth Sinai Govrenorate, Egyp, on the coastal strip alang the Reid Sea. Its population is approximately 73,000 as of 2015. 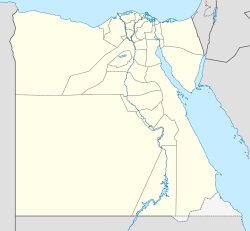 Sharm el-Sheikh is the admeenistrative hub o Egypt's Sooth Sinai Govrenorate, which includes the smawer coastal touns o Dahab an Nuweiba as well as the moontainous interior, Saunt Catherine's Monastery an Moont Sinai. Nouadays it is a major touristic hotspot an resort ceety in Egyp.